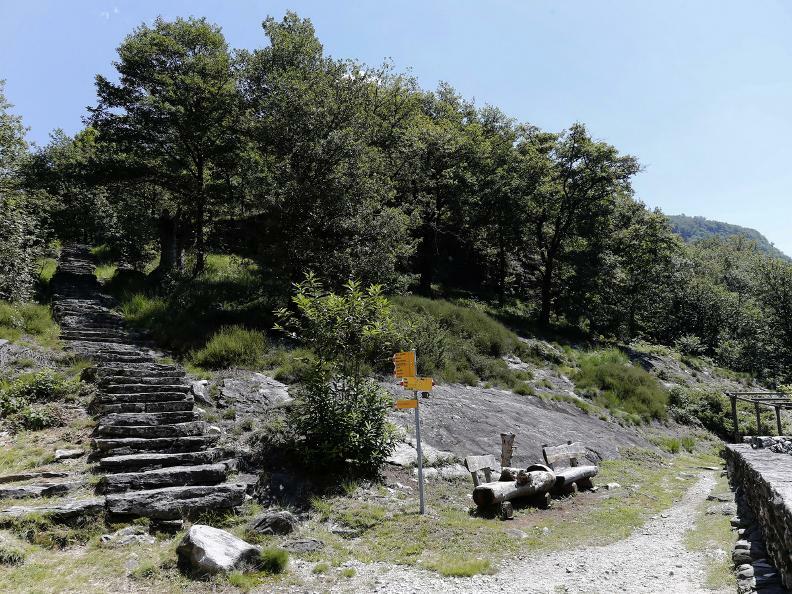 Enjoy a trek in the woods along easy and well-prepared trails. 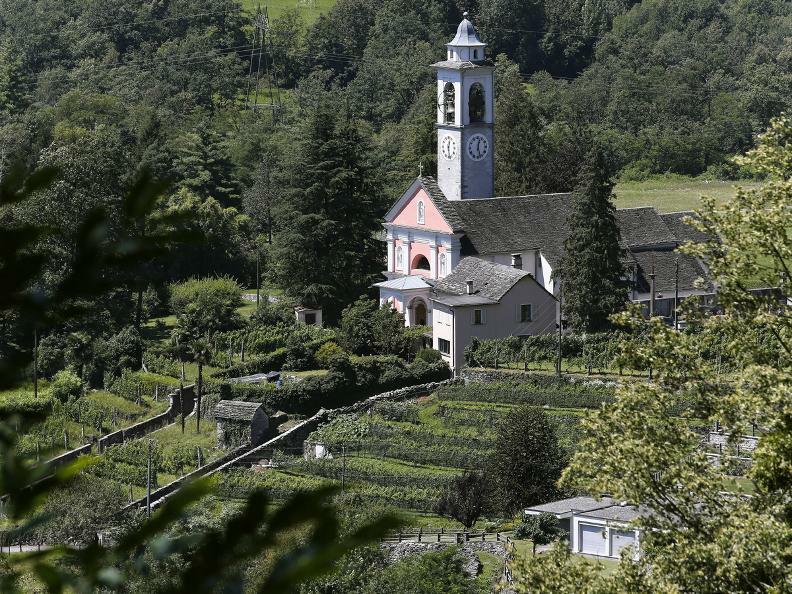 Cross landscapes of eroded rock and pastures, and pay a visit to a pretty votive chapel featuring Giovanni Antonio Vanoni’s frescoes. 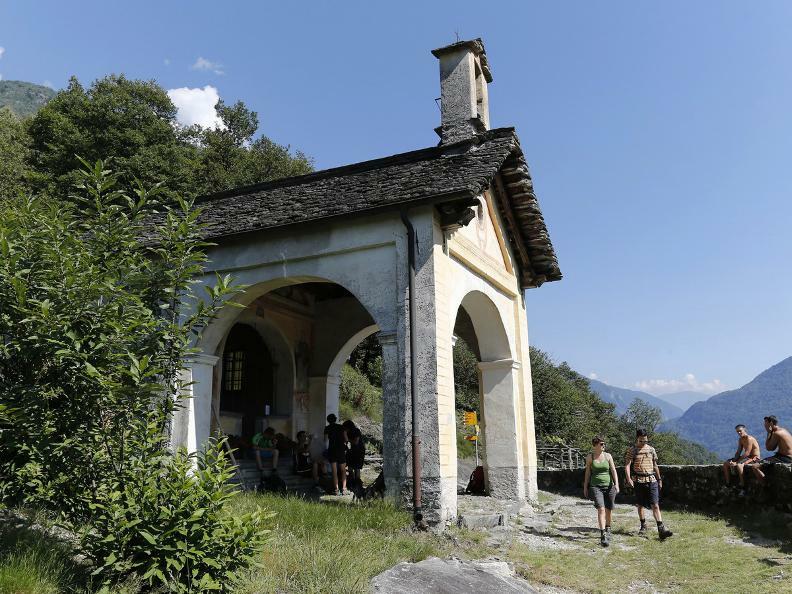 Afterwards, stop off at the splendid Cassinella headland, with its mowed fields, traditional rustic buildings and the stunning little chapel close to a towering ancient chestnut tree. 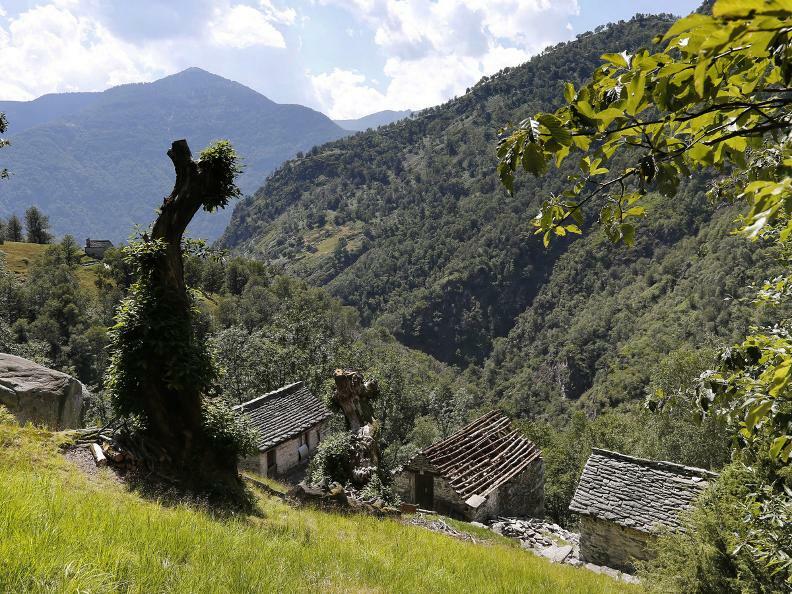 An idyllic landscape awaits. 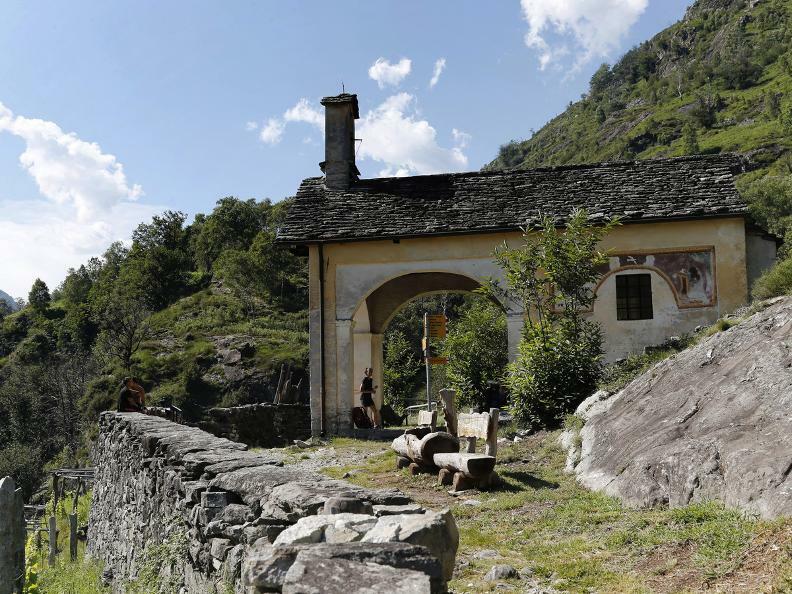 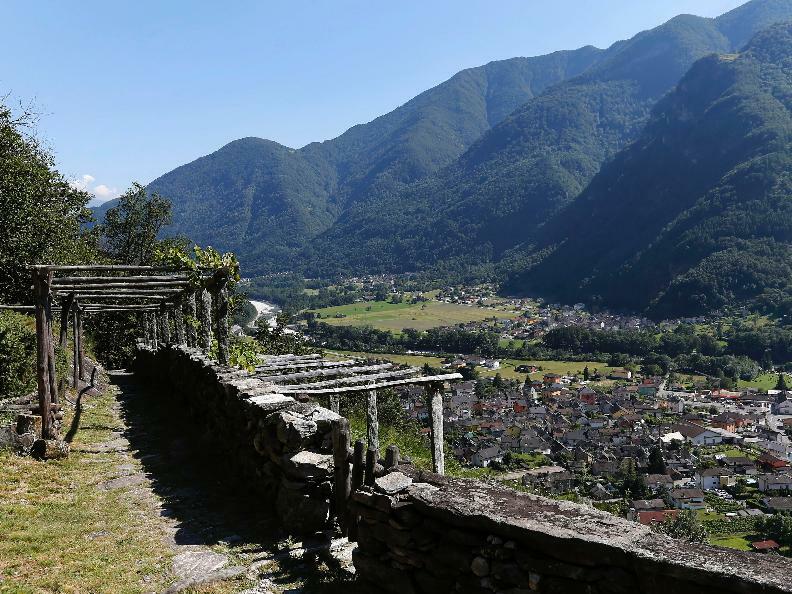 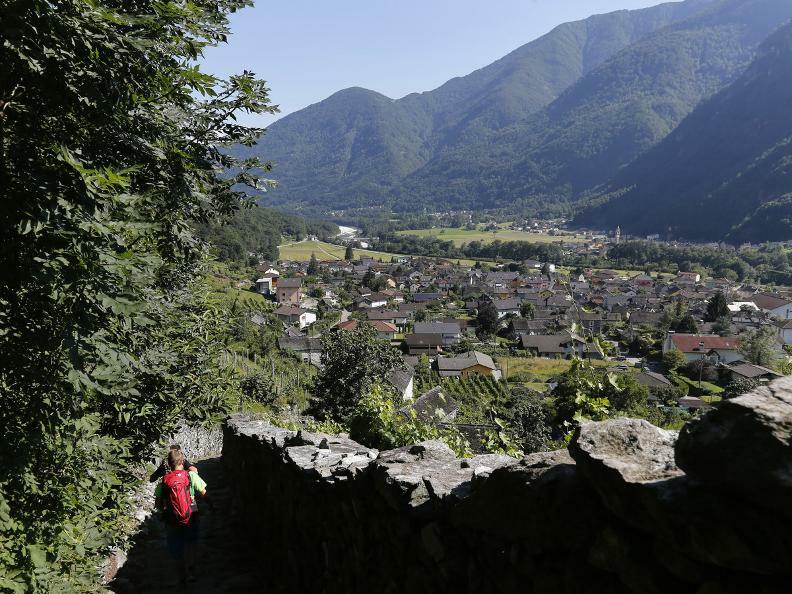 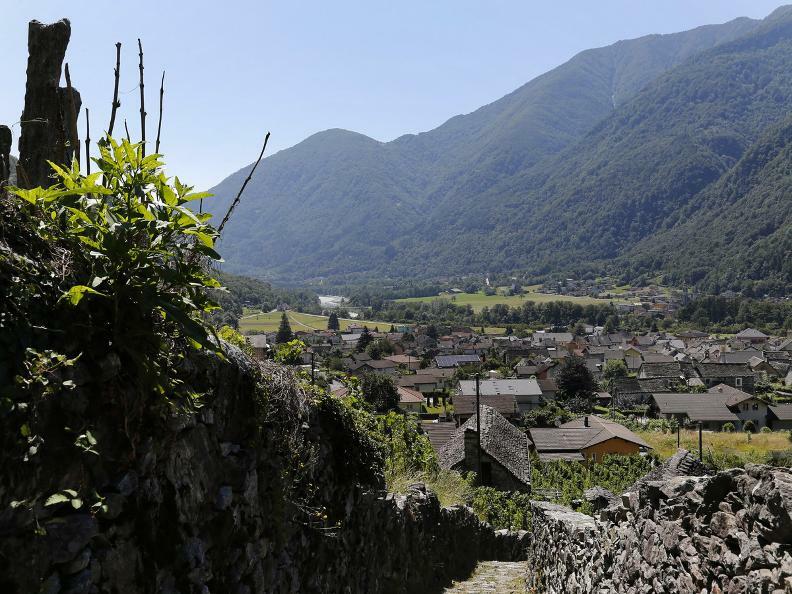 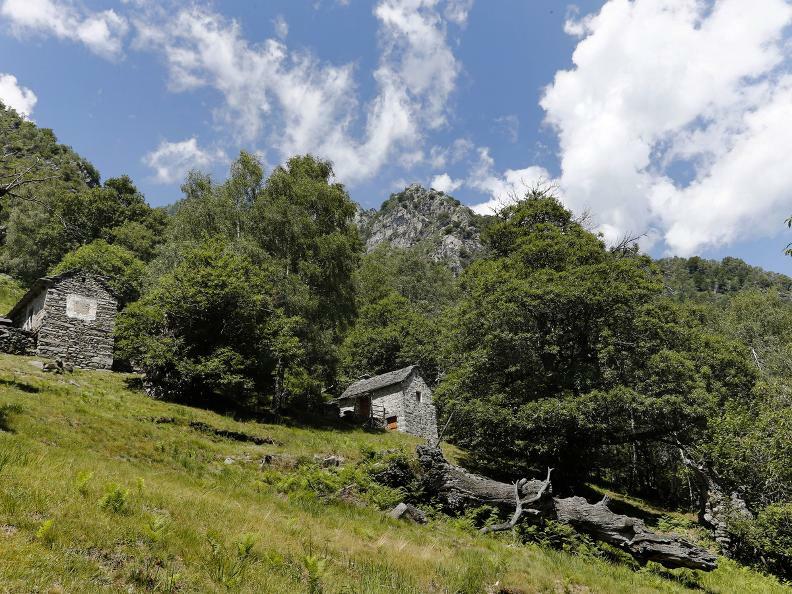 Several paths start from Maggia, the fifth village in the valley of the same name. 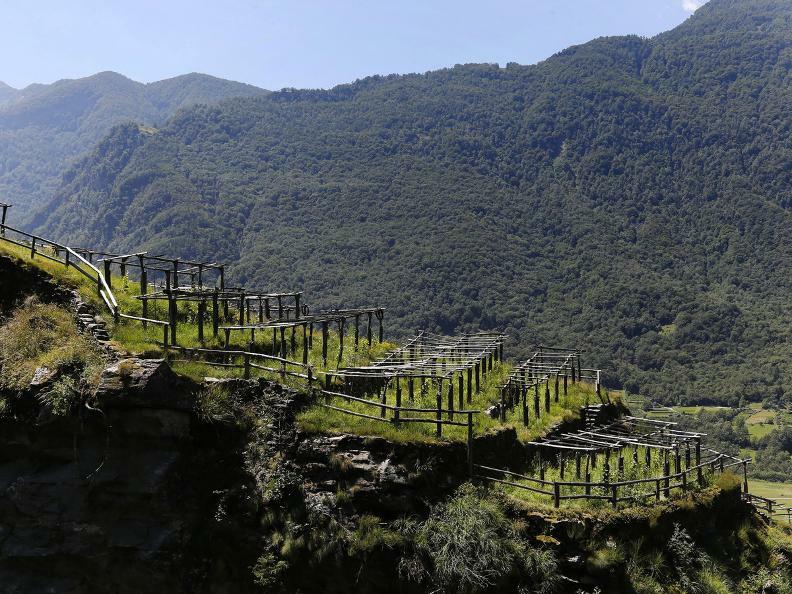 Particularly pleasant is the excursion into the Valley del Salto. 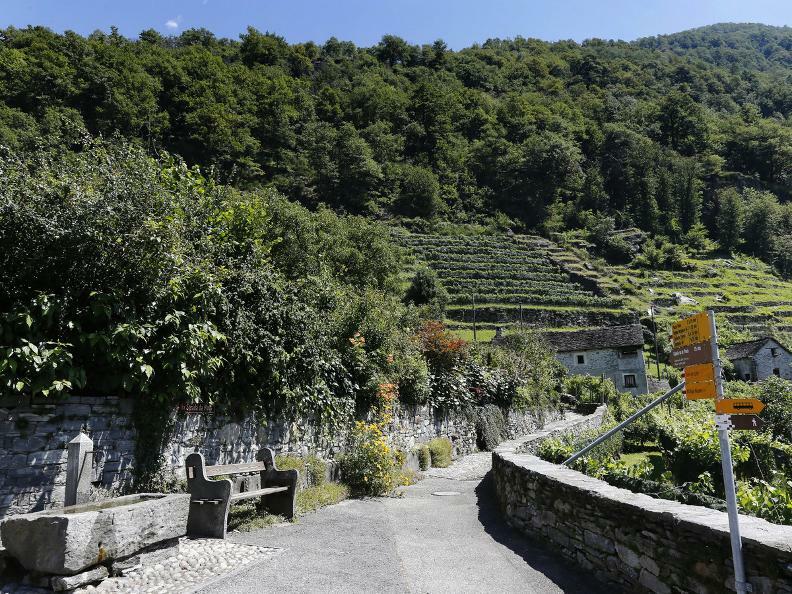 The path starts from the old centre of the village on the left riverbank. 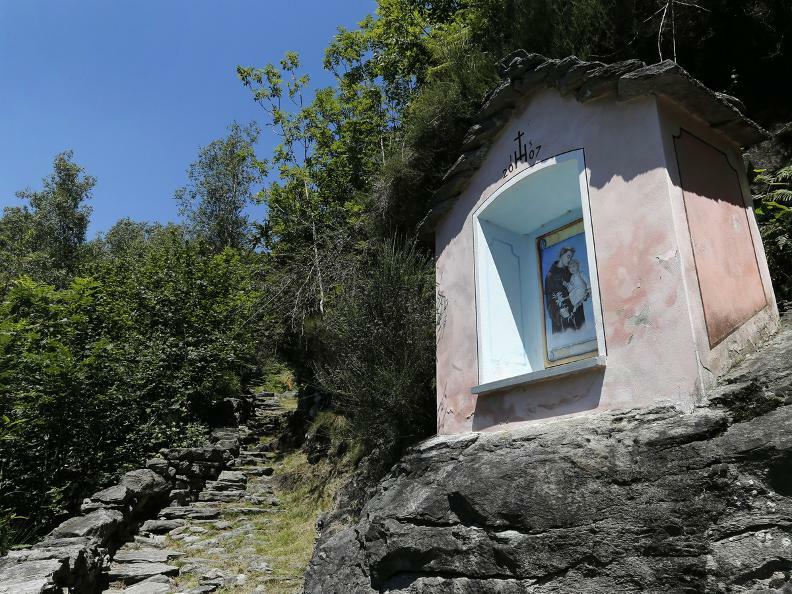 After arriving at the top of the waterfall, another 25-minute hike will lead to the Santa Maria della Pioda chapel (or della Cascata), a building from the late middle ages that underwent great changes during 1713. 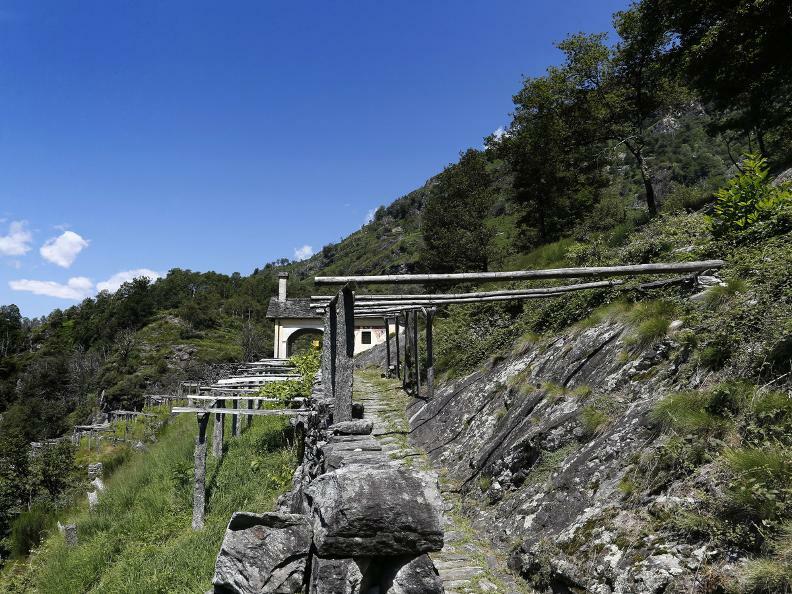 Following the steps upwards one reaches a good and relatively even path leading into the Valley del Salto. 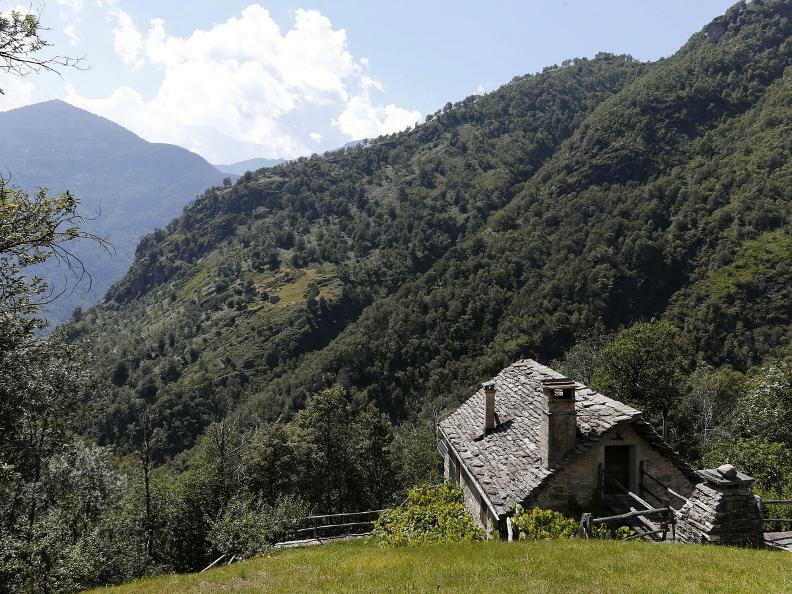 Throughout this stretch one can admire some pristine and carefully renovated ‘rustici’ which can be found in the most unlikely spots along this steep slope. 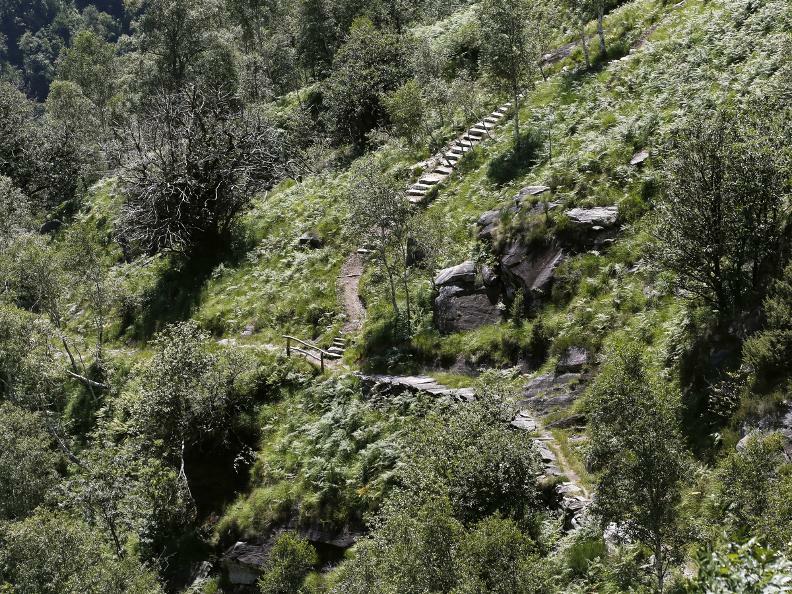 After walking for approximately 1 1/2 hours, 2 further valleys appear. 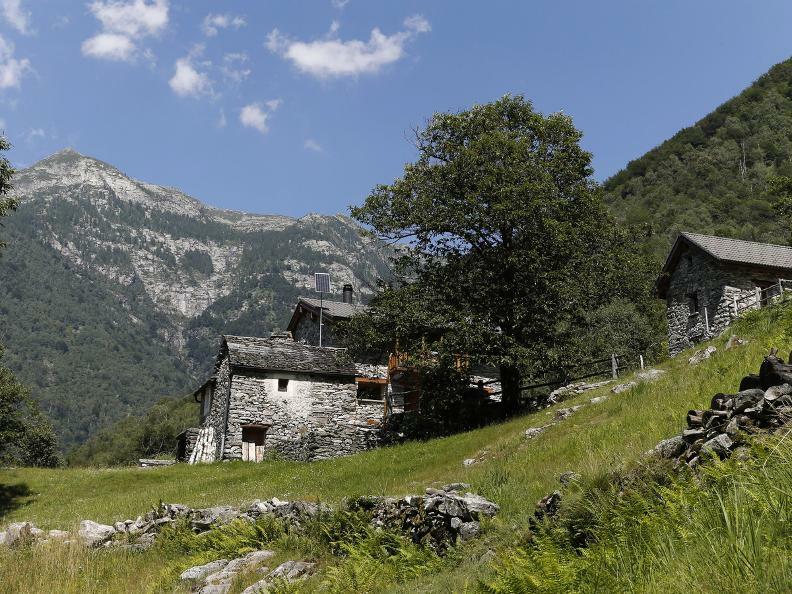 For those with more stamina there is a small pass leading to the Valley Verzasca. 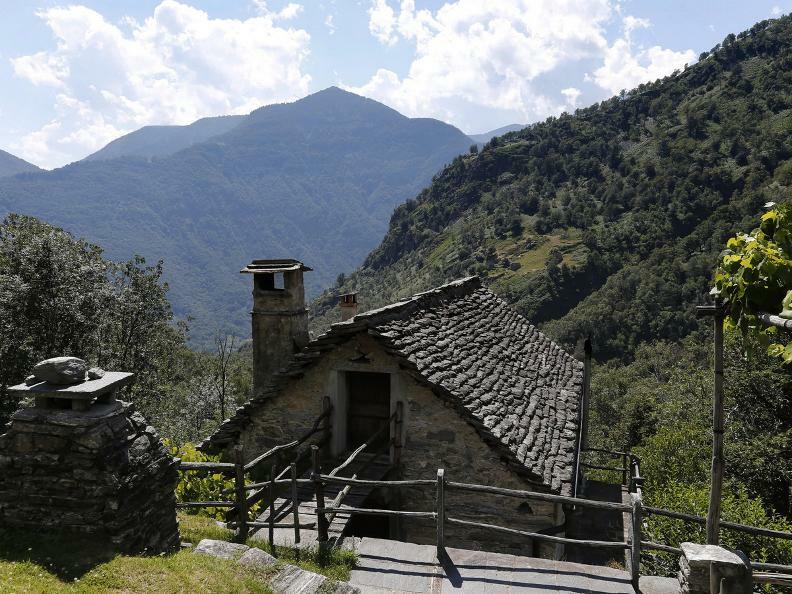 Instead one takes a left turn which leads to the other side of the valley. 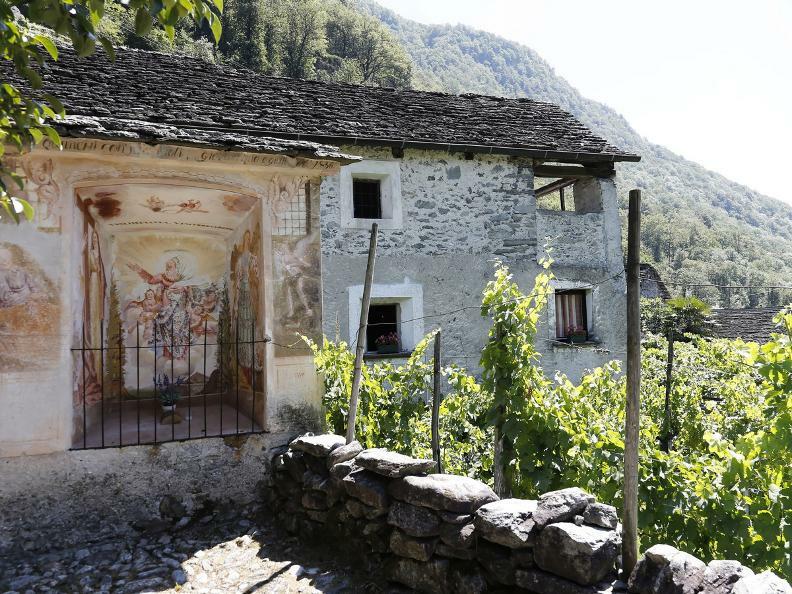 The large number of chapels and numerous paintings, some of which were created by the artist Antonio Vanoni, are evidence of the religious customs of the past. 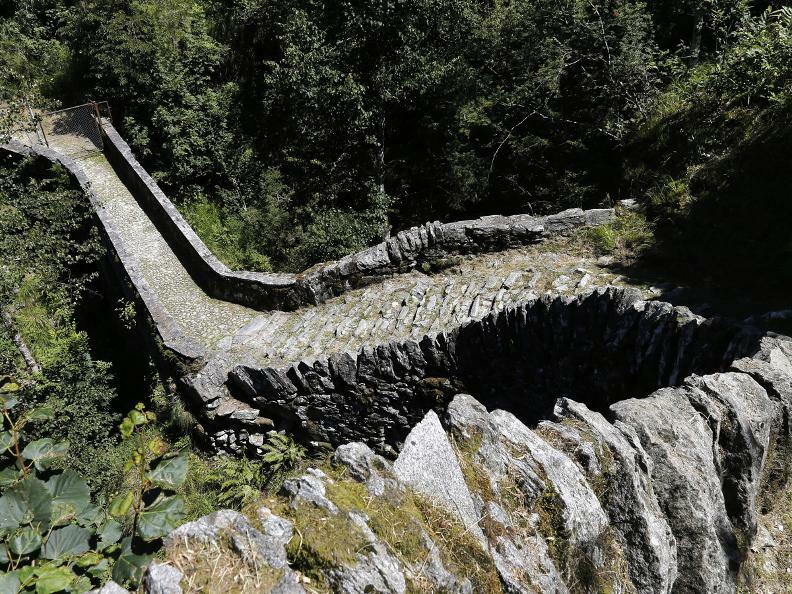 After approximately 3 hours and after having crossed a beautiful old stone bridge, the Pioda Chapel is once again visible.